Australian rugby league player who began his National Rugby League career with the Penrith Panthers in 2012. He has represented both Australia and Lebanon internationally. He was born in Sydney and played junior rugby with the South Sydney Rabbitohs. He was named to the 2010 National Youth Competition Team of the Year. 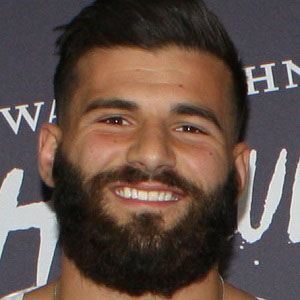 He married longtime love Daniella Toutounji in 2016. They welcomed a daughter named Siana in November 2017. His parents are named Angie and Fidel. He has played with Peter Wallace on the Penrith Panthers.